The Award Ceremony for the 19 scholarships the Helpe Group awarded to distinguished students was held today, at the Group headquarters. The students will continue their studies at specialized Post-Graduate Programs at the University of Piraeus, the Technical University of Crete and the Athens University of Economics and Business. These programs were created by and continue to operate with the continuous support and sponsorship of the Helpe Group. Most of these graduates come from countries where the Group is active, and came to Greece in order to proceed with their studies at the leading Academic Institutions, so as to develop their skills and prepare themselves to enter the job market. All courses in the Programs are taught in English, and adopt innovative methods, such as seminars, educational visits and research projects linked to Energy Strategy, Law and Economics, as well as to the most recent developments in the area of exploration, production and exploitation of hydrocarbons. 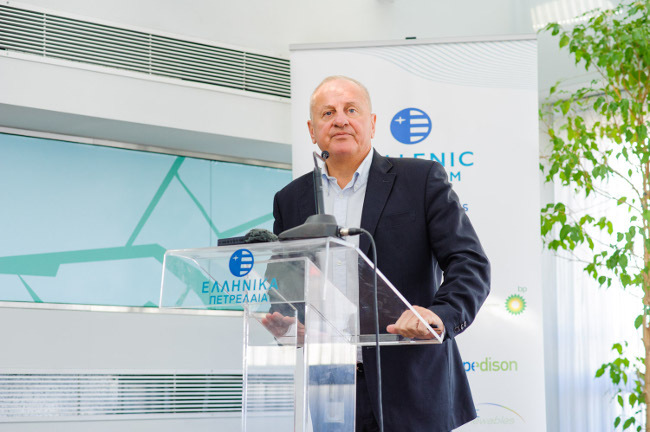 MSc in Energy: Strategy, Law & Economics offered by the University of Piraeus. The program aims to provide students with a scientific background to the entirety of the energy sector as well as in the way the Energy sector is integrated into the strategic developments of the 21st century. Msc in Petroleum Engineering offered by the Technical University of Crete. The program’s goal is to equip students with the scientific background for exploring hydrocarbon reserves and its application in the Petroleum Engineering industry. MBA offered by the Athens University of Economics and Business. The program focuses on the developments related to Energy related companies and their potential. During their addresses, professor Nikolaos Pasadakis, the director of the MSc in Petroleum Engineering of the Technical University of Crete, Dr. Aristotle Tziampiris, Professor of International Relations and Chair of the Department of International and European Studies of the University of Piraeus and professor Vassilis Papadakis, from the Business Administration department of the Athens University of Economics and Business, all mentioned the significant and continuous support provided to the Post-Graduate programs by the Helpe Group. 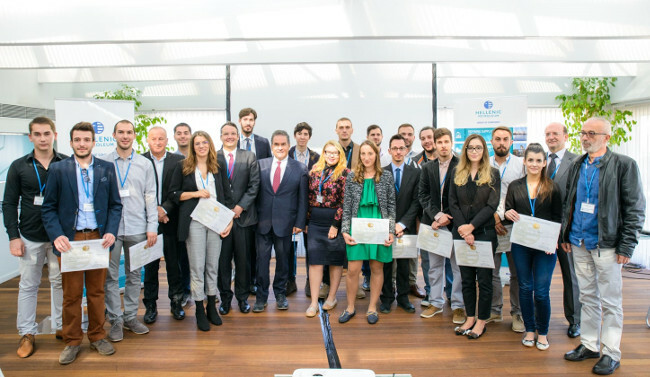 The students were accompanied by the CEO's or top executives of the Helpe Group’s subsidiaries in Cyprus, Serbia, Montenegro and FYROM.